If you stay in Switzerland more than 12 moths, you have to exchange your national driving license to Swiss one otherwise you’re not allowed to drive a car here. It’s necessary to exchange it before this 12 months period pass – you will simply exchange the driving license. If you do it after, you must go to the Driving School. 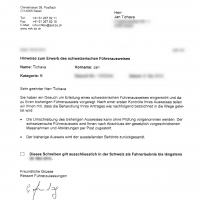 When I wanted to make this exchange, I went to the Motorfahrzeugkontrolle Office (Motor vehicle registration office) in Basel and ask what is necessary to do. They gave me application form, which I have to fill in, go to optician or eye doctor and then came back. Form was in German. I asked at work, where should I go to check my eye. They recommended me to go to the optician, because it will be cheaper; specifically Fielmann at Markplatz. I went there early in the morning and I was very surprised. This optician looked very luxury. When I explained what I need, they sent me to the 2nd floor. They did several basic eye tests and then filled in their part of the application form for driving license. It cost only 9 CHF, I was expecting much more. Then I went to the Motorfahrzeugkontrolle Office. I gave them the application, one photo and my living permit. Passport is not necessary. She was typing something to the computer for a very long time, then she printed out temporary driving license and bill. 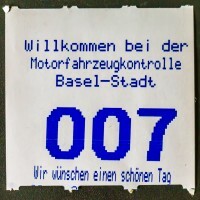 You can drive only in Switzerland with this temporary and payment slip was for 140 CHF. New driving license should come by mail in 5 to 10 working days. 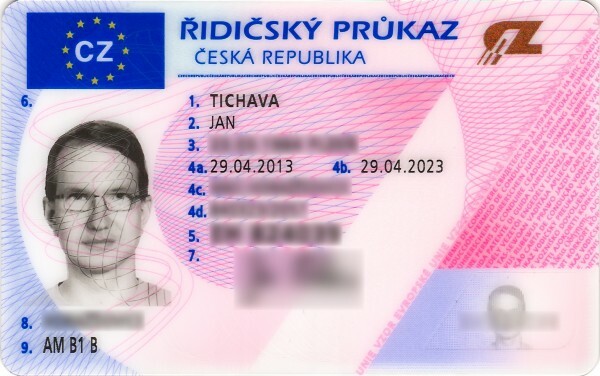 They took my Czech driving license and the will send it back to the Czech Republic. In case I would return back, I would exchange it back to Czech one in the Czech Republic. 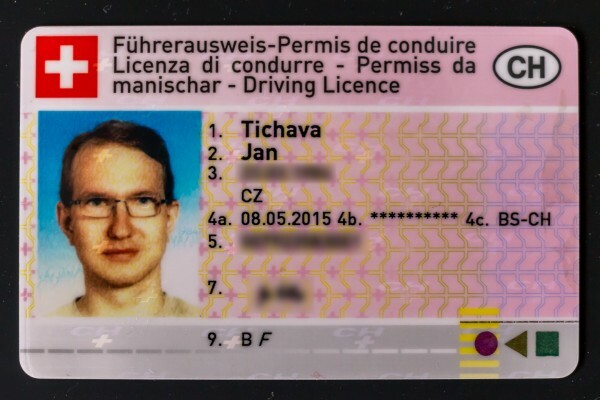 New driving license arrived in 3 days! Wow! It was extremely fast. I was in the office on Wednesday and I found it in the mailbox on Saturday. I’ve got the driving license sooner then I paid for it. Every time, I was in Motorfahrzeugkontrolle Office, they were very nice on me and patient. There was no problem to handle everything in English. Note: These information applies to European Union’s citizens, it might be different for people from other countries. I think, they must do some drive test, but I’m not sure.